Mexican... A huge weakness for my other half and I! This wonderful food group is a part of our meal plan at least once a week (usually more)! 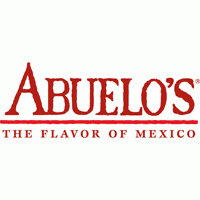 He had been telling me about Abuelo's for a while and we finally decided to make it our dinner destination after a wonderful day at Epcot! Where to begin!!! 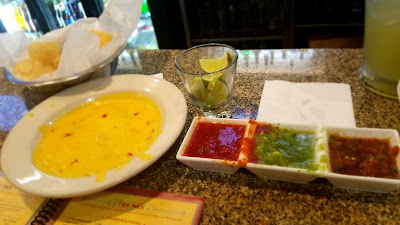 Of course they brought out salsa and chips upon our being seated but this wasn't your run of the mill salsa. There were three types. The darker red had a little heat and a wonderful fresh flavor, the green was to date my favorite verde salsa ever! Such a wonderful fresh green flavor! The third was a standard salsa but still yummy! Let me not forget the Chile Con Queso! amazing!!! I had the enchilada plate with three corn tortillas filled and covered with pure delight! 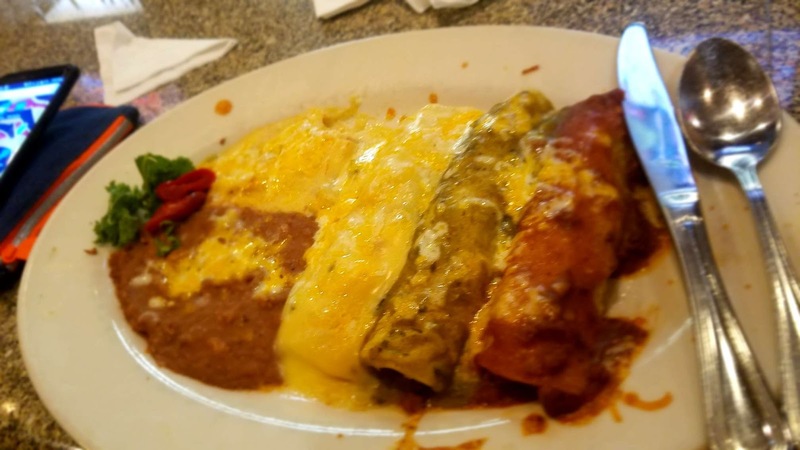 I chose the (left to right) Cheese with salsa de crema sauce, carntia with green chile sauce, and the beef with chile con carne. I should have ordered two because even with sharing these it was to much! The beans were creamy and had a wonderful flavor, and this was my first time trying papas con chile!! I highly recommend it!! 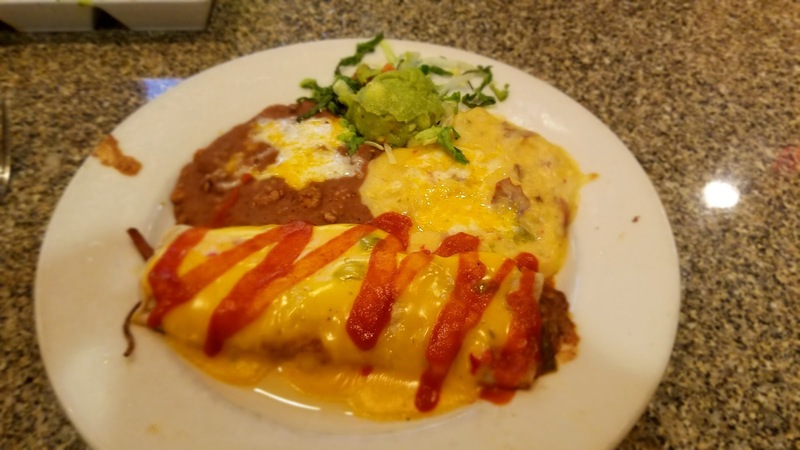 Andrew ordered the Durango burrito, a flour tortilla with beef and topped with chile con queso! He graciously let me sample this and It was equally as wonderful as my dinner! Our servers were friendly and the atmosphere was festive and warm which put us in a wonderful mood!